Buy this Hello Kitty pocket for your Car. 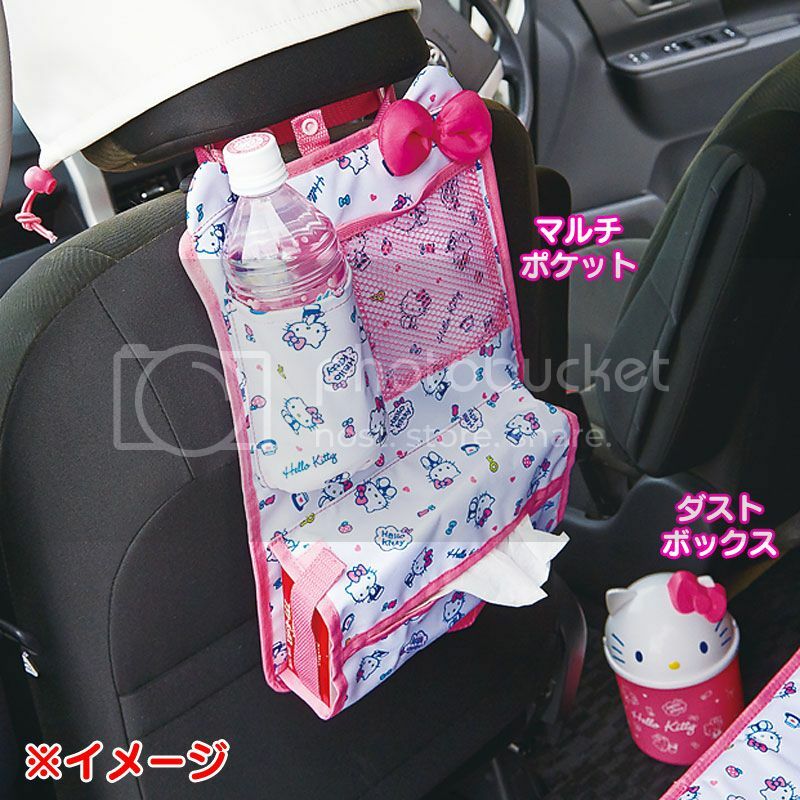 Keep your car tidy in the cutest way with this Hello Kitty Back Seat Organizer! This organizer features Hello Kitty with a pink bow, fold, and mesh organizing compartments. *unfold: 26.7 x 37 cm / 10.5" x 14.5"
*Fold: 26.7 x 18.5 x 5 cm / 10.5" x 7.3" x 2"
●storage pocket, fold, and mesh style.